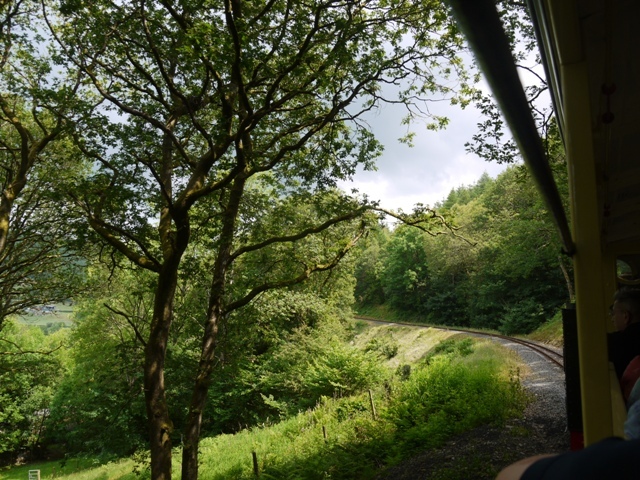 For the first time in 28 years, I travelled with members of my family on the Vale of Rheidol Railway, which puffs its way sedately from Aberystwyth to Devil’s Bridge, laden with tourists. 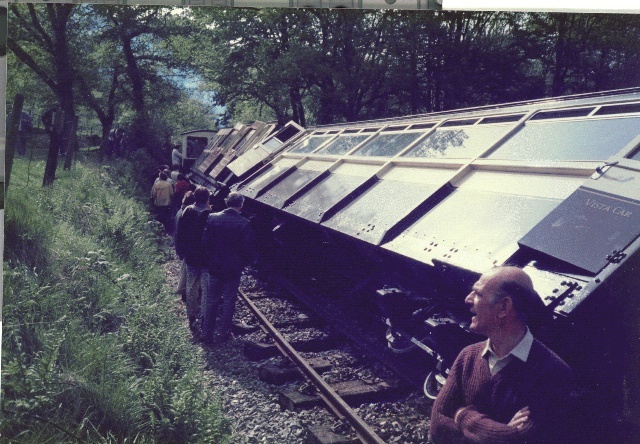 My previous journey was described in this blog on February 10 2014. http://www.letterfromaberystwyth.co.uk/historic-derailment-on-the-devils-bridge-railway/ It had been abruptly curtailed on the return journey by its derailment near Nantyronen. 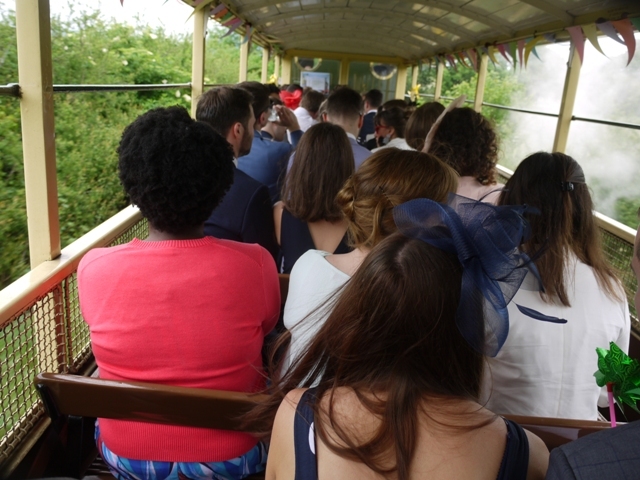 On this year’s journey ours was a special, stopping train, which halted at every station along the route. 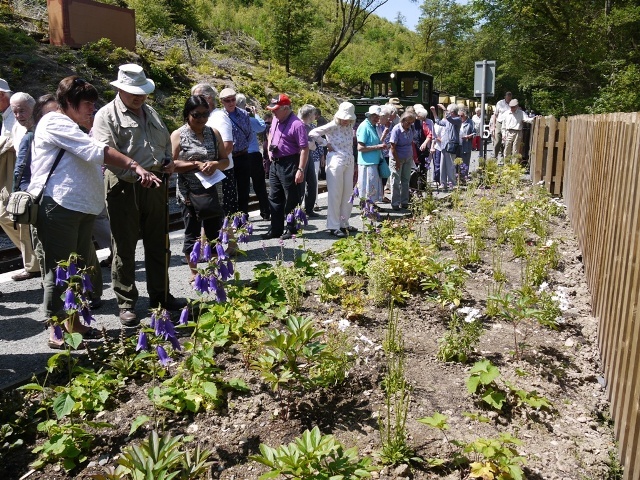 The passengers, members of the Cardiganshire Horticultural Society and the Ceredigion Welsh Historic Gardens Trust were bent on visiting the latest developments, – newly planted railway gardens at each of the stations and halts along the line. 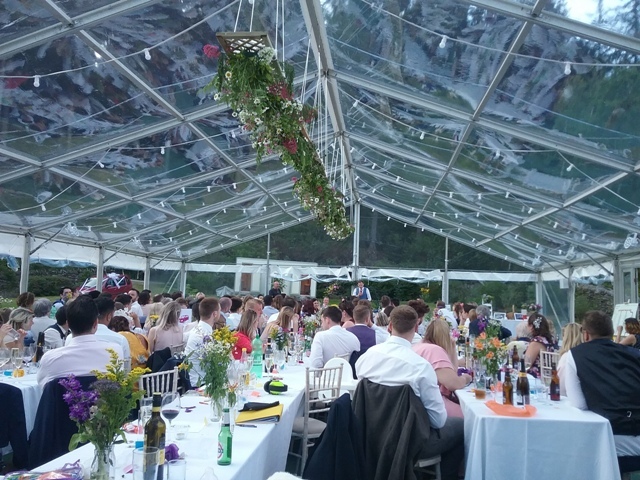 The whole operation has prospered under the charitable trust which bought the railway from British Rail twenty five years ago. 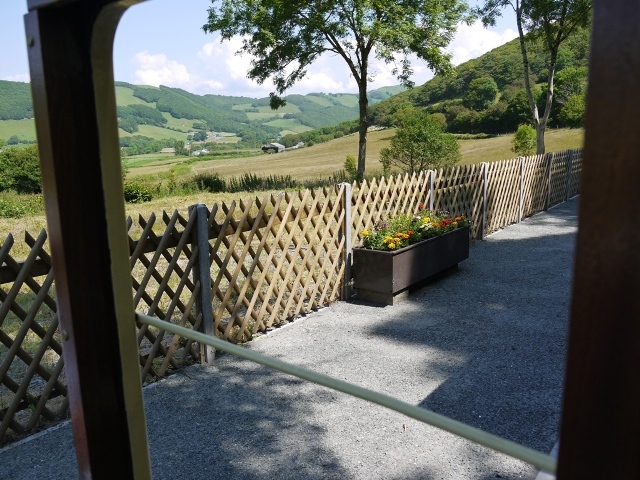 There is a substantial new engine shed with brick built gable ends near the station at Aberystwyth, and an attractive private car park dedicated only to Rheidol Railway travellers. 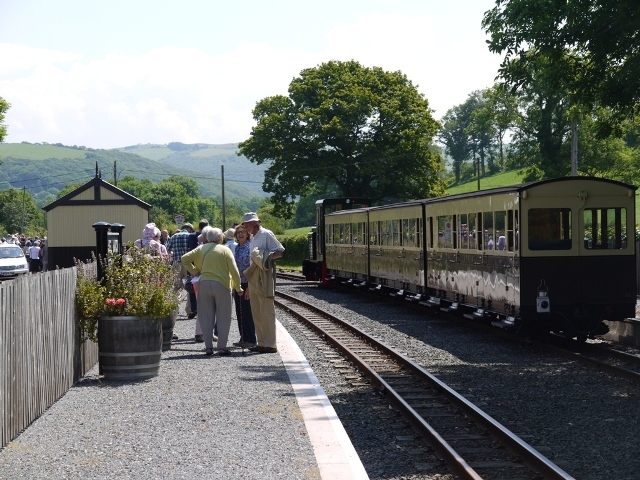 At every halt the station buildings have been smartly restored and painted in the railway livery of cream and brown. At Aberffrwd one can play at stationmaster with the old telephone and ticket shelves in the corrugated iron and pitch pine building. At other halts a newly installed but tastefully gothic corrugated iron shelter protects waiting passengers from the elements. 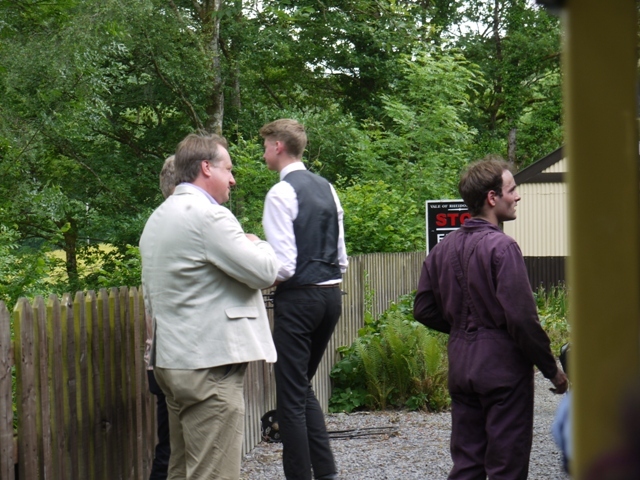 The latest initiative has been to create gardens such as might have been tended by proud stationmasters along the route. These have been planted and tended by local volunteers. 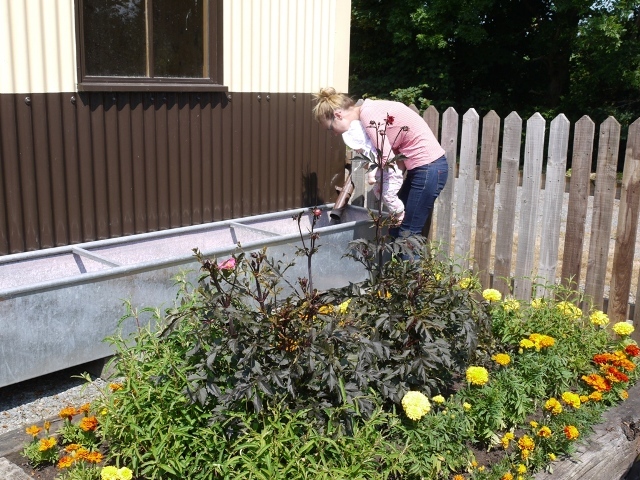 At Capel Bangor we alighted near a raised bed margined by railway sleepers planted with Victorian formality. French marigolds in yellow and orange framed taller plantings of pink cistus and the statuesque Bishop of Llandaff dahlia. The line divides to serve both platforms here, and they are adorned with stout barrels. I particularly liked the one containing a standard bay tree underplanted with brilliant red geraniums which echoed the signage on the picket fence beyond. 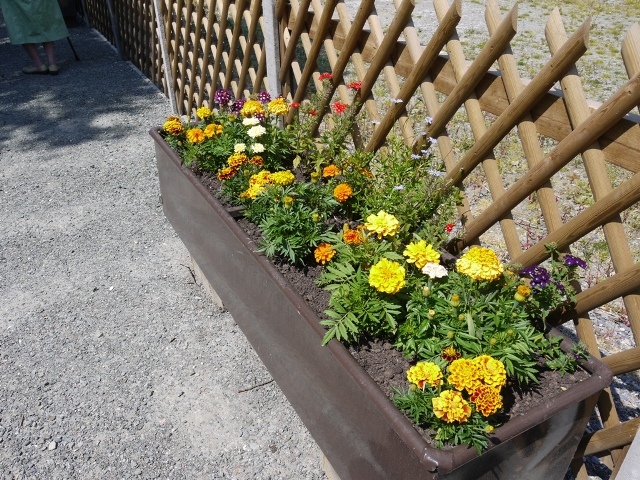 At Nantyronen the French marigolds were to be found again, but this time in long raised troughs along the platform and interplanted with verbenas and other bedding plants. 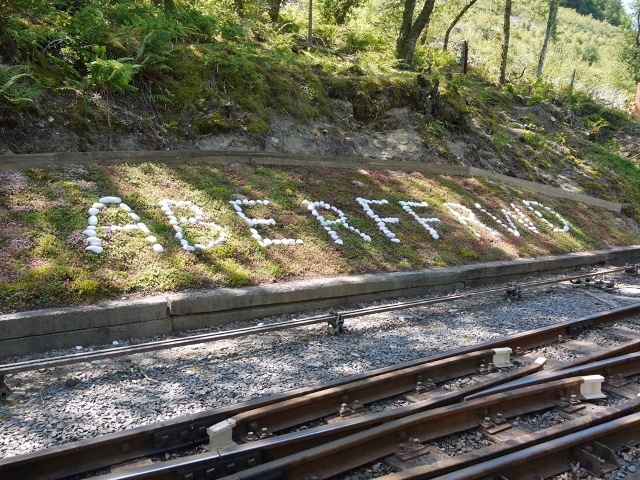 At Aberffrwd a more ambitious border between the platform and the fence was planted with perennials, Canterbury bells, peonies, astrantia, Erisymum ‘Bowles Mauve’ and Japanese Anemones. 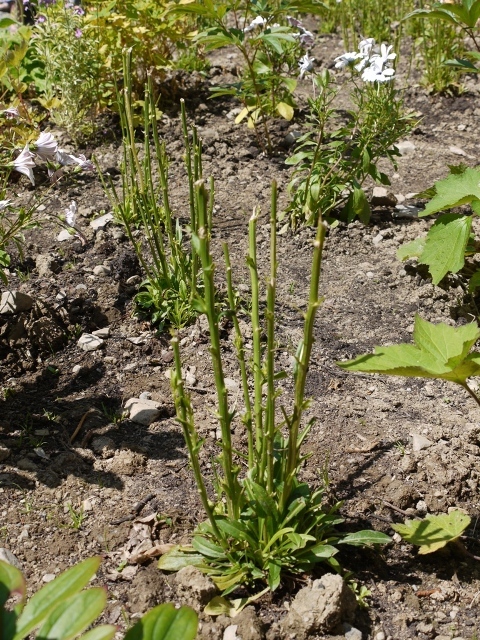 Here the volunteers were distraught, on the eve of the station’s official re-opening by Tourism and Transport Minister Edwina Hart, to find that many of the flowering stems had been snipped off some 10inches above the ground. Close inspection revealed rabbits to be the culprits, apparently reaching up to nibble off the flower stems and eat the flowers. Hasty replanting with colourful osteospermums filled in for some of the losses. Rabbit repulsion in a rural area remains a challenging goal. Less toothsome to rabbits and very much in keeping with the landscape is the slope on the side facing the platform, which has been planted as a sedum bed, in which the name of the station is spelt out in white painted river stones. The line divides again here, and it was nice to watch the downward train exchange batons with our driver and continue on its way. 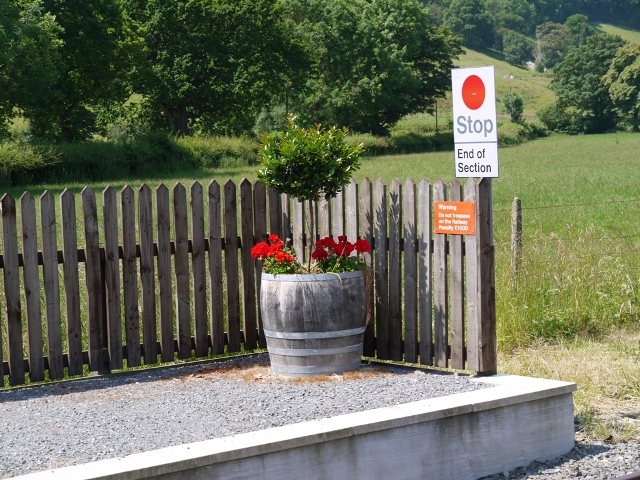 We paused at The Rheidol Falls stop, to see the azalea planting and a clematis montana which will soon gallop exuberantly along the fence. 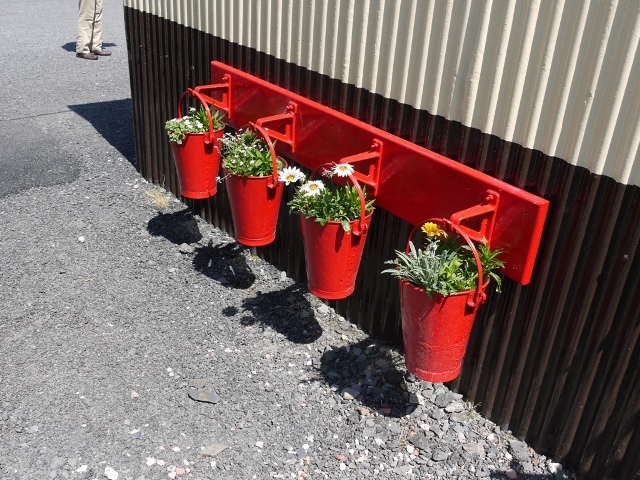 We dismounted at Devil’s Bridge to find four red fire buckets planted with gaudy gazanias. After a lavish lunch at the Two Hoots Cafe we rattled back down to Aberystwyth with just a pause at Rhiwfron, the other high altitude stop. Here the visitor looks out northward across the valley to the cream and gold spoil tips of mining on the other side. 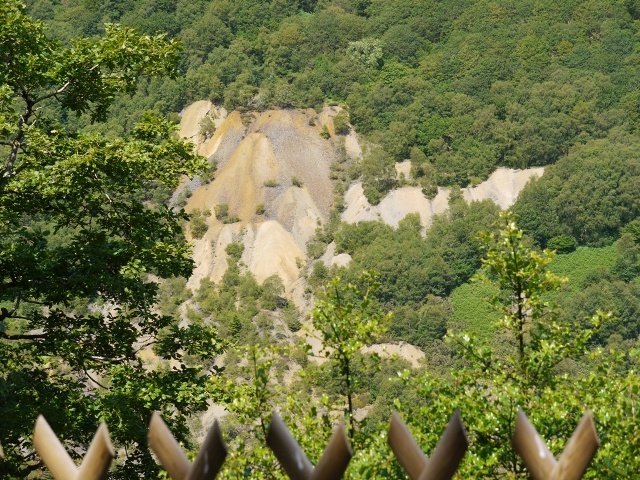 A hundred years has not diminished its mineral toxicity, and only a few trees have gained foothold on these slopes. Wet winters are the time for reminiscences, and for ferreting out memorabilia amongst the old photographs which every family accumulates. 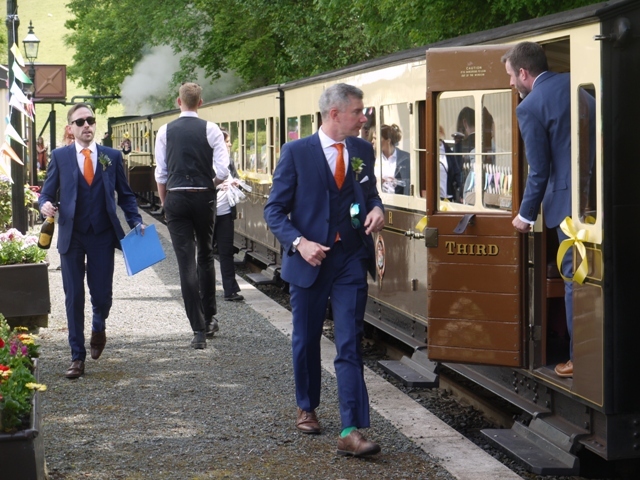 This activity recently took me back almost 28 years, to my last excursion on the Vale of Rheidol Railway and a sensational incident now largely lost in the mists of time. The railway is one of the last narrow gauge railways to be built in Britain, commissioned by Act of Parliament in 1897 as a multifuctional line. It would transport tourists between Aberystwyth and the spectacular beauty spot of Devil’s Bridge, but it would also extend from Aberystwyth station to the harbour, and facilitate the export of timber and of lead ore from the mountains through which it passed. There were some difficulties with the financing, but the line opened in 1902 and in its early years it flourished, and indeed stimulated the re-opening of several of the lead mines which to this day scar the flanks of the valley with their mineral-rich spoil heaps. Two wars and several changes of ownership followed, and at many times the axe must have hovered over this eccentric little railway. 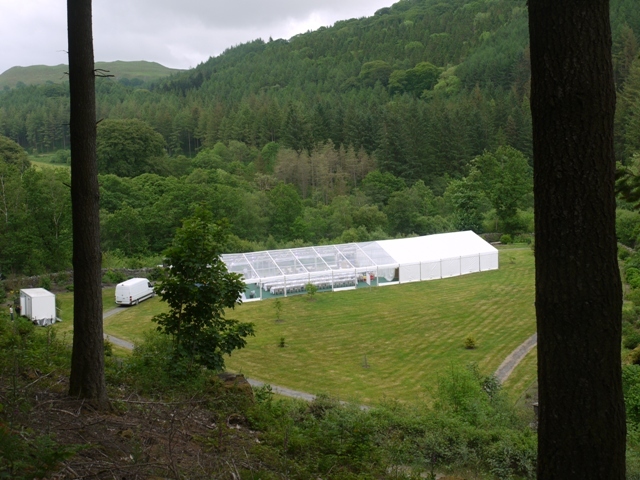 In 1912 it became part of Cambrian Railways, and in 1923 the company was absorbed by Great Western Railways. In 1948 it became a small but anomalous part of British Railways. It seems extraordinary that this little steam railway escaped the Beeching cuts. Aberystwyth lost its rail link to the south at this time, the line which meandered through Llanilar, Tregaron and down to Carmarthen was closed. Ever since that decision the residents of Aberystwyth have had to travel to Shrewsbury, in England, before they can get to south Wales. 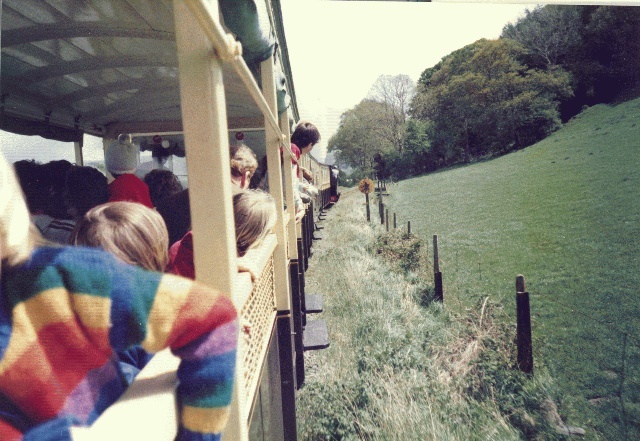 So on 26 May 1986, when my husband and I and my young children boarded the train with other families for an afternoon excursion to Devil’s Bridge we were in fact travelling on the last steam railway to be operated by British Rail. It was a fine day, and we all piled into one of the cheaper fare open carriages which had unglassed windows from which it was customary to wave frenetically at the motorists queued up at the level crossing in Llanbadarn. Then we chugged sedately up the valley, pausing at tiny stations along the way. At Nantyronen we stopped to take on water. Children hung out of the windows and watched fascinated as a great grey hose like an elephant’s trunk was swivelled over the engine to pour water into its tank. 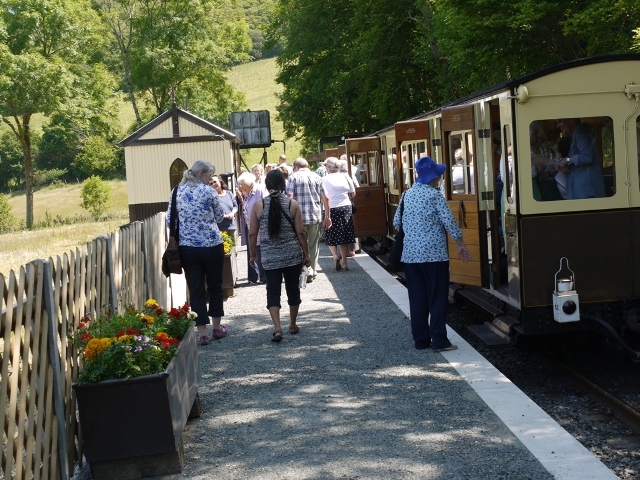 Then the train set off once more, to Aberffrwd, Rheidol Falls and Rhiwfron Stations before arriving at the terminus at Devil’s Bridge. Here the adventurous would pay for tickets to pass through the tall green turnstile gates and explore the precipitous footpaths of the Mynach Falls and gaze up at the three bridge arches, sitting piggy back atop each other, so that the public road now crosses the valley at a great height above the river. The less adventurous, and those with small children would buy ice creams at the kiosk and return to the station half an hour later for the return journey. In the cheap fare carriages we sat upon bench seats, hung out the windows and sometimes inhaled a gust of steam and soot from the Owain Glyndwr which propelled us. But there was a grander option, the First Class Carriage, which had glazed windows, and upholstered seats, just like a full sized train. And in 1986 there was also a special, even more expensive coach, the Vista Car which we had recently watched passing the Llanbadarn playground. In it the passengers sat in tiered rows like a theatre, all facing out the side to admire the view through a big plate glass window. 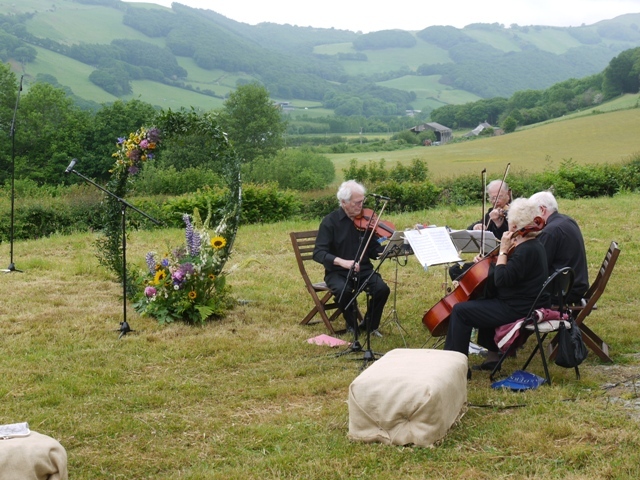 The line hugs the south side of the Rheidol valley so the big views were all to the north. 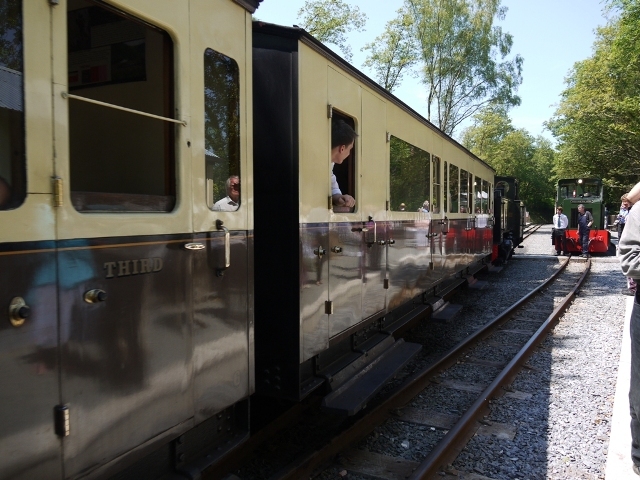 It was the front carriage on the outward journey and the last carriage, at the back of the train on the return. The return journey is easier for the locomotive, being downhill or level all the way, and there was no water stop at Nantyronen. But 1/3 of a mile further along, as the train rounded a gentle corner and passed through some trees, there was a violent lurch, metallic screeching and our train jolted to a halt. Leaning out of our open sided windows we soon realised that while we 3rd class passengers in the front three carriages remained on the tracks the last two carriages were tipped over at an angle of 45 degrees, stopped from falling further by the felicitous presence of a small embankment beside the track. The driver, the only attendant on the train, walked back along the track to view the scene as the First Class passengers, some visibly shaken threw back the doors and clambered out the upper side of their leaning train. Those in the Vista Car had all been tumbled onto the plate glass, and had to clamber along it to emerge through the end door on the other side. 1986 was before mobile phones and the driver had to walk off to find a landline to summon assistance. Then everyone was instructed to walk back to the nearest halt and wait for buses to collect them. I don’t believe anyone was more than bruised but it took a further two hours before we were returned the six miles to Aberystwyth. Many mused on the disastrous possibilities had the accident occurred on a different corner, without embankment, where the carriage could have rolled unimpeded into the valley below, dragging the train with it. Most of us felt very lucky and I don’t think anyone received compensation. The front three carriages remained upright, while the rear two had lurched off the line. 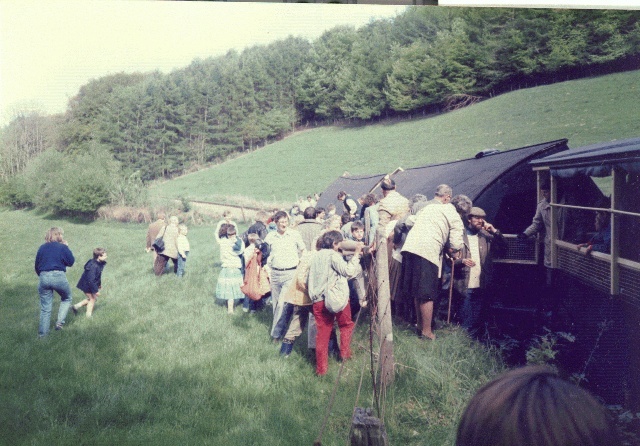 Passengers emerging from the Vista Car and the First Class coach in front of it. The Vista Car was never seen again. 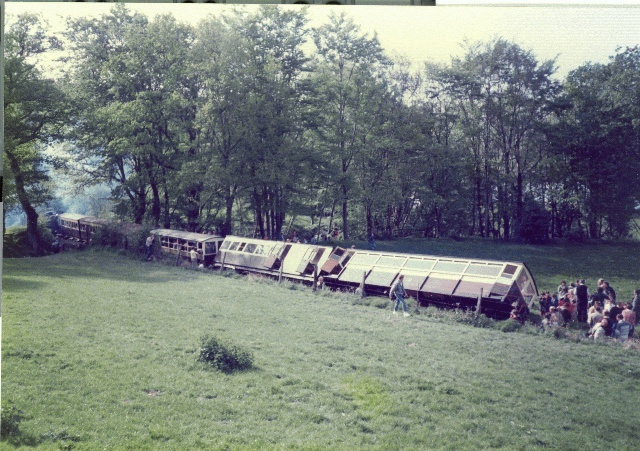 It was new that season, and on that fine May day, heavily laden with passengers seated in tiers, I believe that its uneven distribution of weight and high centre of gravity caused it to topple on the bend, pulling the rest of the train with it. A British Rail Accident Enquiry was announced in the local paper the next week but I never heard the result of it. In 1989 British Rail was privatised and the railway is now run by a charitable trust. For years afterwards my young children would demand to play the “Devil’s Bridge Railway game”, which consisted of a leg ride on a parent seated on the sofa. The ride became gradually more vigorous until suddenly the giggling child would be pitched off onto the floor to the accompaniment of squealing sound effects. Re-enactment games are the best. Before long it can be played all over again, with my first grand-daughter, who was born at Christmas.